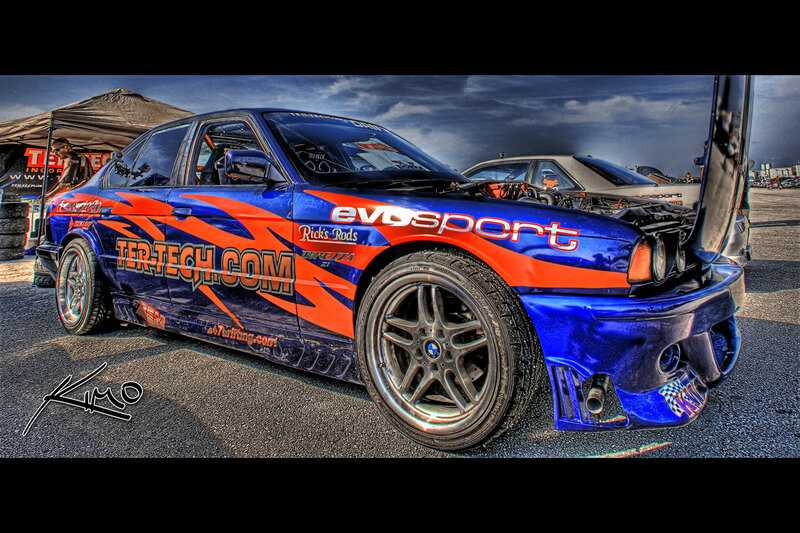 HDR photography image of the Ter-Tech BMW drifting car. Photo was taken during the Honda Classic race in St Petersburg. This high dynamic range photo was merged & tone mapped using Photomatix HDR software.